The religious leaders of nonprofit institutions and long-standing charitable organizations are available in this human-verified, quality business lead list. Find those leaders who are in charge of making many church decisions in this mailing list: priests, deacons, bishops, cardinals, and pastors. Our priest email list is the top way to reach a spread-out group of religious decision-makers, who need a wide variety of products and services to help them serve their parishioners more effectively: affordable printing services, software for coordinating volunteer work, maintenance services for their churches and buildings, and many other forms of assistance. Help them help their communities by letting them know about your product or service with our downloadable email database of religious leaders. This lead list contains pastors, priests, and deacons, naturally, but it also includes those higher in the church hierarchy, such as bishops and cardinals. These individuals work hard to better their communities by offering charitable works in addition to their preaching. Those at a high level need to manage large dioceses and numerous parishes, even spanning entire states. Use our religious leader mailing list to assist them in keeping track of all of their communities' needs. 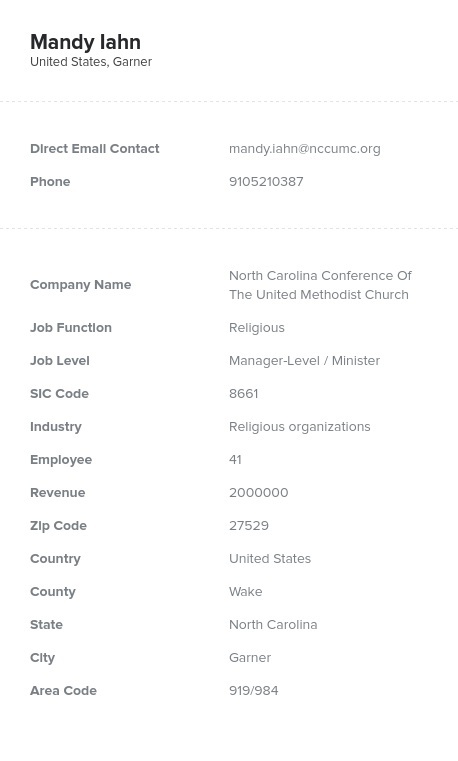 With this one pastor email list, you'll have all of the data you need to reach a high-level group of individuals who will likely not only want but need your products and services: priests' email addresses, phone numbers, postal addresses, parish information, and more. Coordinate a mass effort to improve numerous communities at once and start networking with religious organizations' leaders and influential decision-makers today. Find priests, bishops, cardinals, pastors, and deacons in our lead list now!